The Terezin Memorial is one of the places that are listed in the places within 90 minutes away from Prague. It is number 20 in the list. All details about admission and history of the Terezin Memorial can be found at the official website. The Terezin Memorial is about 60 minutes away from Prague by a private taxi. Getting to Terezin by public transportation is possible. You can catch a bus from the UAN Florenc or the bus station near the Holesovice train station. 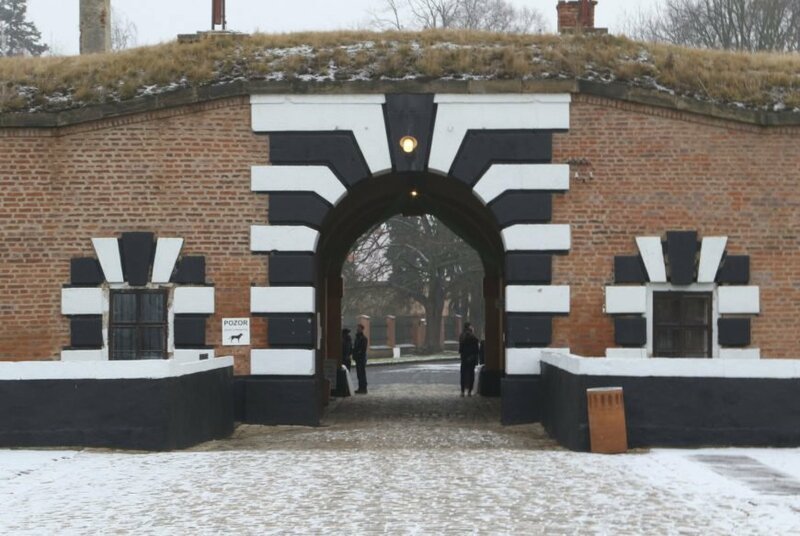 The Terezin Memorial is closed on: 24.12. – 26.12. and 1.1.. Apart from the listed dates the Memorial is open. If you plan to visit Terezin, you have several options. You can get a private tour, organized tour or simply get to Terezin on your own. Being on your own or private tour gives you the freedom of exploring in your own pace. Having paid the organized tour to Terezin makes it comfortable, yet you have to stick to schedule and pace of the group. Terezin can be easily done privately. Local guides are available in several languages and many time frames throughout the day. Our chauffeurs and vehicles are available for private car service from Prague to Terezin and return. The Terezin can be also visited on the way to Dresden, Berlin or other German cities. Eventually it is possible to visit Terezin on the way to Poland. Naturally Terezin visit can be incorporated in the tailor itineraries. Should you be interested, feel free to contact us by email. The photo gallery below takes you on a step by step tour through the Terezin Small Fortress. Apart from the Small Fortress you can also visit the Barracks, Museum and the Crematory. All the posted pictures are from the Small Fortress. Each picture has its description. Click the image to enlarge it. Step By Step through the Terezin Memorial. Private tour of Terezin Memorial captured by camera. 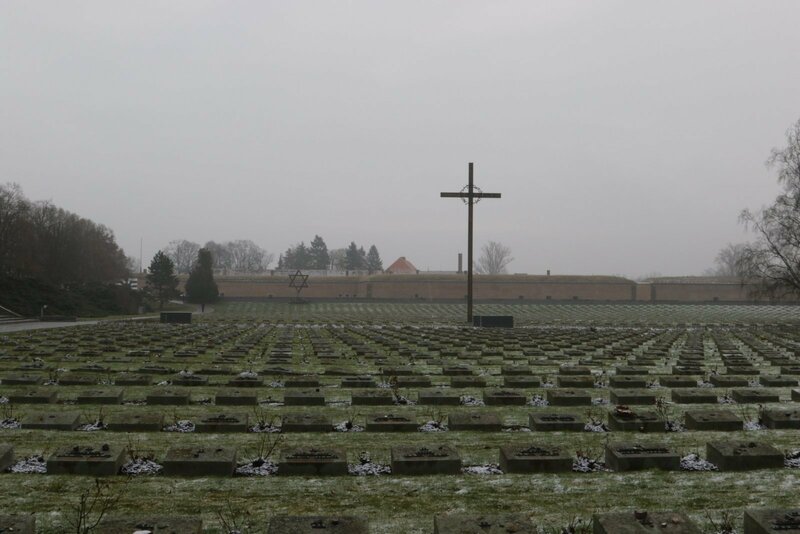 View of the Terezin cemetery and the Small Fortress. The cemetery is dominated by the cross, in the distance one can see the David Star.